It seems like everyone is experiencing Powerball mania. Because no one won last week, it seems that the jackpot is now over a billion dollars. That's a lot of money for one winner, if that's how this ends. Even my husband, who is usually a practical spender, is making a donation to the state lottery buying tickets. I know someone will win, but the money spent on tickets, astonishes me. 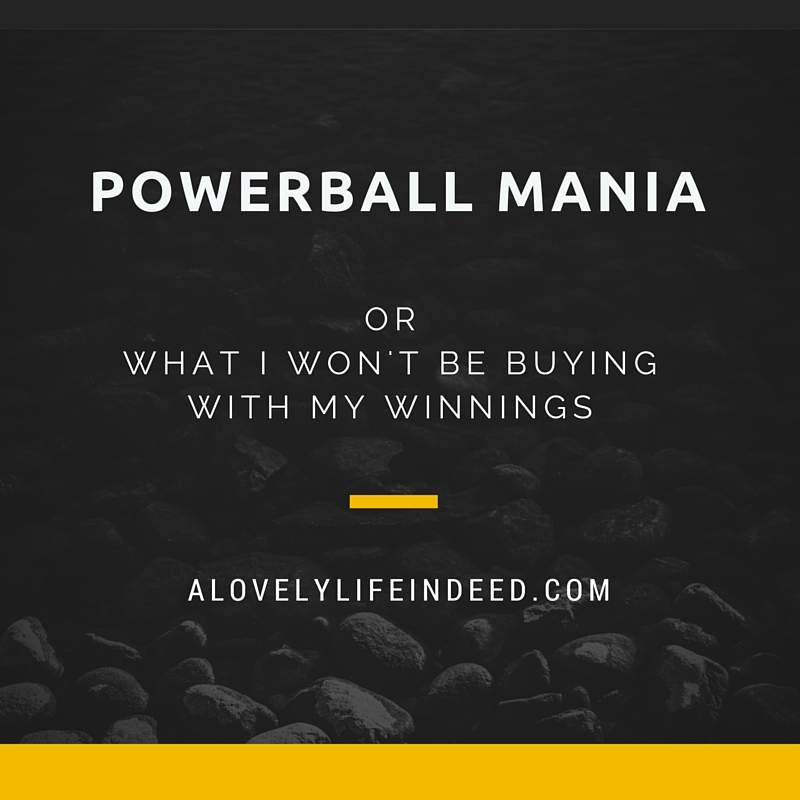 In fact, according to multiple studies noted by CNN Money, the majority of tickets in the 44 Powerball states, are bought by those with below average income, who spend a higher percentage of their overall income on lottery tickets than those in higher income brackets. And the media feeds the frenzy, even going to so far as to offer financial planning tips for the winner(s)...all of that media time for a 1 in 176 million chance. Nevertheless, it is fun to consider what extreme wealth could buy. I've thought about it, but since I don't play, here are five things I won't be buying with my winnings. 1. All family financial needs taken care of...forever. 2. Access to travel-at-will around the world. 3. Investment properties in various cities around the world. 4. A mega-donation to our favorite causes and charities. 5. A comfortable retirement for the Señor and me, with a will that later disperses the wealth to #3 and #4. 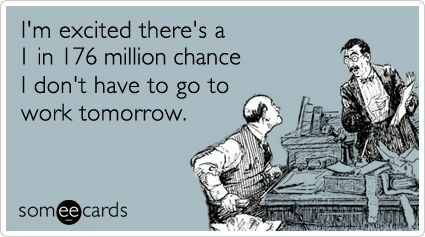 Did you buy Powerball tickets? If you're playing, in all sincerity, good luck. What would YOU buy with your windfall? Hi Kelly, though your today's post hasn't yet arrived in my inbox, when I saw your Pinterest caption I couldn't help but be curious if there might be a matching post, and much to my delight, there is. I never buy lottery tickets, but... there I was on not just one, but two days purchasing powerball tickets. Frankly, it was worth the fun standing in line, ironically, with a good number of folks who don't typically buy lotto tickets and we had a designated guy to show a few of us at once how to figure it out! We had more laughs and warm neighborly conversations together that even if I don't win, I don't regret it- on the other hand, despite the odds, that leaves me still having as good a chance as anybody! I may buy a ticket today? It depends on if I go out at lunch. I'd do everything on your list! And buy a big farm for animals who have no homes to roam free. I love that idea, Steph. A big farm with generations of caretakers to keep it going. I didn't donate, but I would totally donate to multiple dog shelters and give to my family. I would buy a house in the country with a garage that I could tinker in. I would travel more and spend my days volunteering with animals or at a women's shelter. That sounds wonderful! Wouldn't life be grand if we could live life on our own terms. How amazing our world would be if we didn't have to worry about money to pay our bills. We could live in service to the causes that we care about and do what makes us happy. If only.